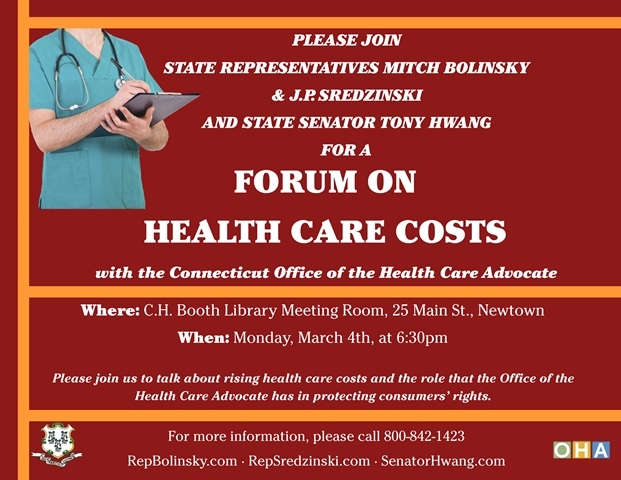 NEWTOWN – State Representatives J.P. Sredzinski (R-112), Mitch Bolinsky (R-106) and State Senator Tony Hwang (R-28) invite their constituents to attend a forum they will be hosting, alongside the Connecticut Office of the Health Care Advocate (OHCA), on healthcare costs. When: Monday, March 4, 2019 at 6:30 p.m. The lawmakers and officials will be discussing Connecticut’s rising healthcare costs and the role that the OHCA has in protecting customers’ rights. The forum is free and open to the public. 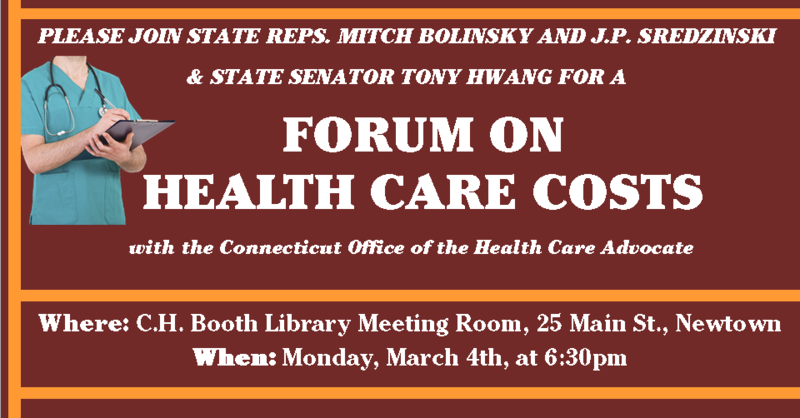 If you are unable to attend but would still like to connect with your legislator on this issue, please contact Rep. Sredzinski and Rep. Bolinsky’s office at (800) 842-1423 or Sen. Hwang’s office at (800) 842-1421.